Dr Brenton Coats is a consultant anaesthetist who will be working with your surgeon for your upcoming procedure. As an Anaesthetist, Dr Brenton Coats is a medical specialist who helps you through your operation. Dr Coats is an Australian doctor who is officially recognised as a consultant in the specialty of anaesthesia. Dr Coats is also a Fellow of the Australian and New Zealand College of Anaesthetists. Not all anaesthetics are the same. Therefore, to provide you with the safest and most effective anaesthetic, it is essential that Dr Coats has your full medical and surgical history. In order to assist with this, Dr Coats requests that all patients complete the Pre- Op Questionnaire. After your procedure Dr Coats would appreciate you taking just a few minutes to fill out the Patient Experience Survey. Your answers are completely anonymous and will help Dr Coats greatly in improving care for patients in the future. If you would like to discuss any aspect of your anaesthetic or if you have any questions either prior to or after your operation, please do not hesitate to contact Dr Brenton Coats. 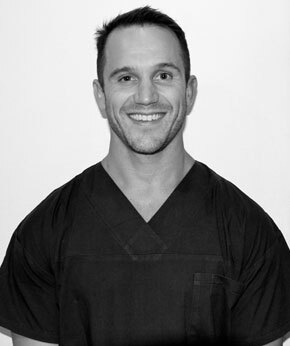 Dr Brenton Coats is an Anaesthetist based in NSW - Sydney Australia.